December 14, 2015 - The U.S. Department of Transportation’s Federal Aviation Administration (FAA) today announced a streamlined and user-friendly web-based aircraft registration process for owners of small unmanned aircraft (UAS) weighing more than 0.55 pounds (250 grams) and less than 55 pounds (approx. 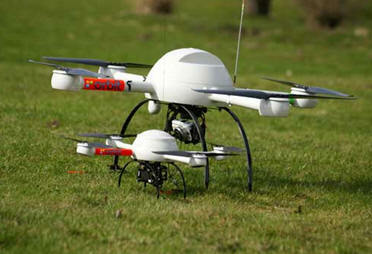 25 kilograms) including payloads such as on-board cameras. Registration is a statutory requirement that applies to all aircraft. Under this rule, any owner of a small UAS who has previously operated an unmanned aircraft exclusively as a model aircraft prior to December 21, 2015, must register no later than February 19, 2016. Owners of any other UAS purchased for use as a model aircraft after December 21, 2015 must register before the first flight outdoors. Owners may use either the paper-based process or the new streamlined, web-based system. Owners using the new streamlined web-based system must be at least 13 years old to register. Owners using the model aircraft for hobby or recreation will only have to register once and may use the same identification number for all of their model UAS. The registration is valid for three years. The normal registration fee is $5, but in an effort to encourage as many people as possible to register quickly, the FAA is waiving this fee for the first 30 days (from Dec. 21, 2015 to Jan 20, 2016).